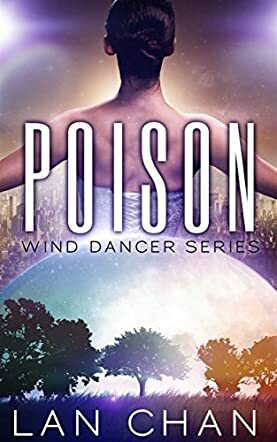 Poison, Book 1 of the Wind Dancer series by Lan Chan takes place in a well-constructed future world full of wonderful beasts, advanced science, and the same old human problems of treachery, greed, and murder. Wind Dancers, Furies, Reapers, Wanderers, and Seeders are just some of the imaginative creations Lan Chan brings to this novel. The story starts with a murder in the middle of the night and things go downhill from there. The Seeders are the bad guys, the people in power, and the hero, Aurora Gray has sworn that they all must die. Poison is a tale of revenge, revolution, and betrayal. Aurora doesn't know who she can really trust and this will cost her as she tries to figure out who is a friend and who is a foe. I like the way Lan Chan unveils her novel and her world step by step through the eyes of Aurora and her young friends. This is the heart of this first book of the series. We have to learn who these people are and what they are fighting for. This happens in a slow progression, with a kind of coming of age for our heroine. The characters are richly drawn and appropriately complicated. Many of them are not who they seem and we learn this as Aurora does. Poison moves steadily towards a satisfying conclusion, but the battle is far from over and the stage is set for Book 2. I think young people will enjoy these books, but older readers will like them too. Aurora grows in strength with each challenge and makes a pretty good role model for teenage girls.